things and how you deal with them is what makes the difference. with the clouds you have hard times to see that rainbow. and am ready to eat some cake! I'm also wearing a poncho today, love them!! 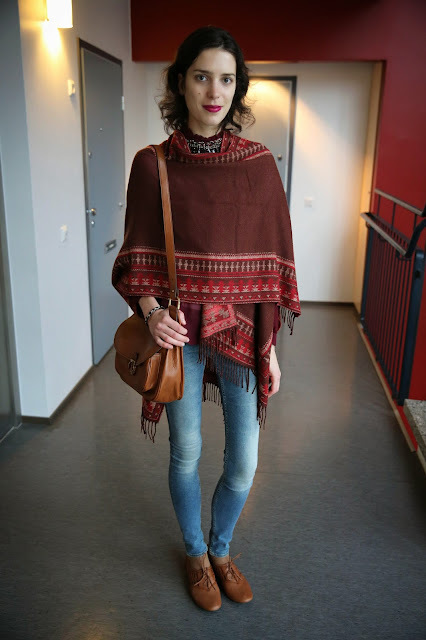 That poncho is sooooo cute! Love it! i love your outfit and your blog. Do you wanna follow each other? 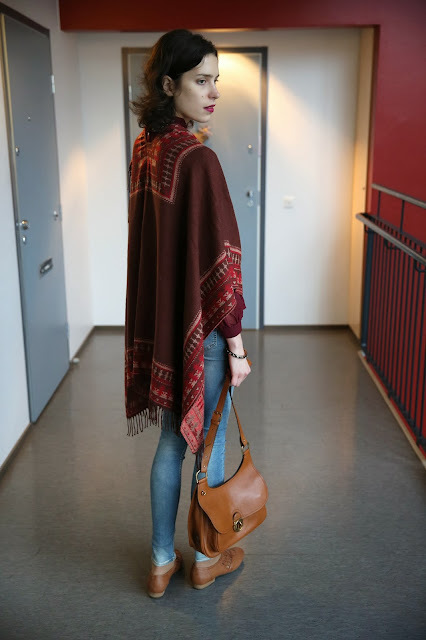 I love ponchos and this one is SO cute! You look beautiful, I adore the lipstick especially! Going to the gym is a great way to start the week, can't wait to go again to the gym after my c-section! I adore your poncho! I love this entire outfit on you because all the colors go so well with the color of your denim. Great look!! This is Sussi Mau from choies. com. I guess you have known CHOIES. We are engaged in fashion apparels those are very popular among young girls from age 16-36. You do have a fabulous fashion blog. Such a great look. 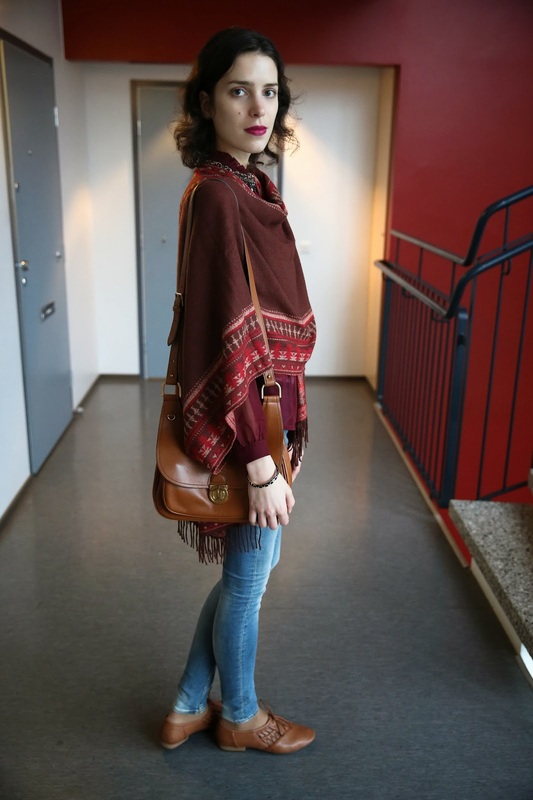 The color of the poncho is perfect for fall! Your skinny jeans are nice.